The Tory government hangs by a thread. Its disastrous Brexit policy threatens to blow it apart and widespread desperation and anger at seemingly endless austerity could erupt at any moment. There's still time, argues PETER TAAFFE, for Jeremy Corbyn to act decisively in Labour's drawn out civil war - to develop a socialist alternative to capitalist crisis and misery. It is now a tumultuous three years since Jeremy Corbyn was first elected leader of the Labour Party. This was a political revolution, from within and without, of predominantly fresh forces demanding a clean break with the pro-capitalist policies of Blairism. Of course, a social revolution - which upends society from top to bottom - differs from a political revolution within a single party, which the Corbyn movement potentially represented. However, the issue of leadership is vital in both kinds of upheaval. The Russian revolution succeeded over nine months in October 1917 for one reason: the vital role of Lenin and Trotsky in the leadership of the Bolshevik party. They alone understood the rhythm of the revolution at each stage, particularly the consciousness of the masses, and armed it with the necessary programme and perspective for taking power. One of the factors which led to the eventual defeat of the Spanish revolution of 1931-37 was that the working class did not have a party and leadership able to take power. The Spanish Socialist Party (PSOE) had the potential to become such a party but Largo Caballero, the leader of the left, allowed control of the party to remain in the hands of the right led by Indalecio Prieto. The forces of Labour's 'ancien regime', the Blairite right wing, have pursued a conscious policy of sabotage worthy of the revolts of the feudal Vendée reaction in the French revolution. It is quite incredible to look back on Labour's as yet unfinished three-year civil war and the continual, spiteful, organised assaults by the Labour right wing and its media backers on what Corbyn represents. Ed Miliband lost the general election in May 2015 and resigned. The following month it was rumoured that Jeremy Corbyn would be the left's standard bearer in the Labour leadership election and he declared himself in the local Islington newspaper as an 'anti-austerity candidate'. In June, Corbyn surprisingly got onto the ballot with minutes to spare. Some MPs on the right thought he was a political no-hoper and, therefore, it was safe to 'lend their votes' to him. Many of them, mindful of safeguarding their reputation as 'democrats', had regretted allowing Gordon Brown a free run - accompanied by much arm-twisting by his enforcers - in the leadership contest of 2007. They have now spent the last three years regretting their decision to facilitate Corbyn! In September, he was announced as the elected leader of Labour at a special conference. The right remained unreconciled to his victory. Since then, Labour has experienced coups or attempted coups worthy of a Central American republic! In December 2015, Hilary Benn spoke in parliament in favour of military intervention in Syria. This stand was overwhelmingly rejected by Labour Party members and the mass of the population who opposed any more foreign adventures after the disaster of Iraq. Corbyn quite wrongly refused to issue a three-line whip prior to the debate. Then, in June 2016, the electorate in the EU referendum voted to leave. Immediately following the referendum, Benn was finally sacked by Corbyn for organising mass resignations from the shadow cabinet. This led to a revolt by the right wing which still dominates the Parliamentary Labour Party (PLP). A motion of no-confidence in Corbyn was moved by Margaret Hodge and was supported by 172 MPs to 40! 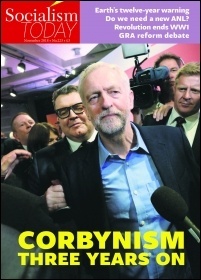 A few days later, on 9 July, Labour's deputy leader, Tom Watson, refused to meet Len McCluskey, general secretary of Unite, and other trade union leaders who were complaining about his and the bulk of the PLP's public hostility to Corbyn. Three days after, Labour's National Executive Committee, through gritted teeth - controlled as it still was by the unreconstructed Blairite machine - allowed Corbyn back onto the ballot for a renewed leadership challenge. In a bitterly fought contest, against the background of all kinds of personal and political vilification of Corbyn, Owen Smith was the right-wing standard bearer. He farcically tried to dress himself up as being on the left, even a 'cold-eyed revolutionary'. Yet Corbyn was re-elected. In the June 2017 snap general election, although Labour did not win, it secured its biggest increase in votes since 1945 and eliminated the Tory government's majority. Prime minister Theresa May has only clung on through a dirty deal with the Democratic Unionist Party in Northern Ireland; this pact threatens to fall apart at any moment. Crucially, the main reason Labour registered a partial victory was the launch of the anti-austerity manifesto over the heads of the right, particularly the PLP. At its core was the promise to abolish student fees and bring back grants. Together with the anti-austerity message, this electrified young people, above all, who were motivated to support Jeremy Corbyn's Labour. It vindicated our consistent arguments at the time that a bold call for radical socialist measures would find a mass response. If this had been combined with Corbyn taking a clear, principled position on Scotland - defending the right of self-determination of the Scottish people and to a second referendum on independence if they so desired - it could have sealed a Labour victory either as the biggest party or even with an overall majority. The same applied to the internal situation within the Labour Party where the radicalised waves of new members in particular were open to a bold lead. The Socialist Party suggested that, as with the launch of the manifesto, Jeremy Corbyn should bypass the right-wing Labour machine. He should launch his own constitution to be voted on by all Labour Party members with mandatory reselection central. At the same time, Labour should be reconstituted as an open federation of different socialist organisations, including the Socialist Party, while maintaining the bedrock of democratised trade union affiliations. There is no doubt that this would have met with widespread enthusiasm by leftward-moving members, filling Labour out with an active base ready to organise against the right wing which would probably have taken this as its cue to desert. Instead, we have had a continuation of the civil war with the right allowed to carry on with its campaign of provocation - in effect, further uprisings against Corbyn and the left - as shown in this year's renewed, scandalous antisemitism campaign by Hodge and the right-wing cabal still dominant in the PLP. Despite threats to form a new 'centre party' with 'liberal' defectors from the Tory party and possibly the Liberal Democrats, Labour right-wingers have not yet jumped, for one very good reason. In this period of a deep organic crisis of capitalism and huge class polarisation the favourable milieu that existed at the time of the formation of the SDP in the early 1980s does not exist. The forces that formed the SDP possessed three nationally-known leaders who could rally a significant electoral bloc for a time. The Lib-Dems, however, are now so weak that they have had to consider advertising outside of their ranks for a leader to replace the moth-eaten Vince Cable. The waves of new Labour Party joiners, those who thought they were joining a rejuvenated socialist party, have become frustrated with the political timidity, the refusal to confront Blairite sabotage head on, and the hesitation of Jeremy Corbyn. This is particularly the case with the leadership of Momentum, represented by Jon Lansman and his supporters. Remember their soothing mantra - 'Yes we Khan' - in favour of Sadiq Khan, the London mayor who demanded "more billionaires for London" in his 2016 mayoral election campaign? Lansman also rejected and opposed our arguments that, without the check of mandatory reselection of MPs, Corbynism was like a knife without a blade - that it would be difficult if not impossible to remove the whole of the Blairite right through the so-called 'trigger ballot' mechanism. This was swept aside as 'irrelevant'. This false argument, masquerading as left 'realism', was laid bare at the recent Labour Party conference with the clamour by Labour's ranks for mandatory reselection. This was rejected, with some of the left unions like Unite playing a less than glorious role in settling for an extension of the trigger ballot. This will mean that the majority of right-wing MPs will stay in position, free to undermine Corbyn and damage the attraction of Labour as a transformed, radical, socialist party. This will have serious consequences in the future, particularly if a Labour government comes to power. Labour right-wingers are open agents of capitalism, ready to do its bidding if they calculate that is in their interests. Look at the pernicious, vicious and false charges of antisemitism levelled against Jeremy Corbyn. Despite the overwhelmingly biased press and media coverage, however, this has cut no ice with the vast majority of the ranks of the labour movement or with broad popular opinion. Some trade union leaders - in Unite, for instance - undoubtedly thought they were acting in the best interests of their members who desperately wish to see the end of May and the Tories, and their replacement with a Corbyn government. Hence the heavy emphasis on unity - 'let's get behind Jeremy and John' - by the left union leaders. Unfortunately, this can become the unity of the graveyard. The phrase 'broad church' is only deployed by Labour's right wing when it is in a minority and increasingly rejected by the rank and file. There was no such broad church when the right was in the ascendant. On the contrary, witch-hunts and exclusions were the order of the day when the party was led by the now utterly discredited baron, Neil Kinnock, followed by John Smith and then the war criminal Tony Blair, who set about destroying Clause IV - the socialist aspirations of the labour movement historically. Blair pursued a scorched-earth policy against Labour Party members' rights and internal democracy. However, the bourgeois are also preparing politically for all eventualities, including a Corbyn government and how to 'manage' this. The Evening Standard - edited by George Osborne, austerity-architect-in-chief - has praised Tom Watson for acting in the 'national interest' by remaining in Labour. Watson is seen as a giant brake on any 'lurch to the left' under a Labour government! It is doubtful whether he possesses the political weight to fulfil this task but there are any number within the PLP ready to perform the role of a Tory fifth column. Theresa May has courted an estimated 31 Labour MPs to support the government over a possible Brexit deal. If they betray Labour in this way there will be massive pressure for their removal from Labour's ranks. But the very fact that such speculation can even appear about right-wing Labour MPs' treachery is itself a warning for the future. Therefore, the decision of the Labour conference not to introduce a system of effective control over the PLP could have dire consequences for the party and the working class in the future. The overwhelming majority of Labour MPs have already demonstrated that they are the 'backstabbing tendency'. They consciously fed the Tory and media narrative of the Labour Party as anti-Semitic and even backed Blairite MP Chuka Umunna's claim it is 'institutionally racist'. Unfortunately, there was no such decisiveness among the left forces gathered behind Corbyn. Momentum has been guilty of wishful thinking. Labour should revisit the issue of mandatory reselection. The left should lead the call for a one-day emergency conference to consider its immediate introduction. Programmatically, John McDonnell has done his level best also to reassure the capitalists, as has Jeremy Corbyn, that Labour will not threaten their vital interests in government. At the Labour Party conference, McDonnell outlined a programme which he claimed would make workers 'part owners' of their companies, eventually benefiting through 'shared ownership' by dividend payments capped at £500 a year. Surpluses would go to the public coffers. Will Hutton of the Resolution Foundation, a firm supporter of 'enlightened' capitalism and virulent opponent of socialism, hailed this as a welcome step towards his concept of a 'reformed' capitalism. It is not a new idea but one that was tested out heroically by the great and sincere predecessors of Karl Marx, such as Robert Owen. It represented a utopian attempt to 'change society behind the backs of society'. Even where this has been successfully implemented for a time - for instance, with the takeover of failing industries - it inevitably comes up against the impenetrable barriers of capitalism and the laws of the market with its lust for profit. At best, it represents islands of socialism in a sea of capitalism. If, however, it does not quickly spread to taking over the commanding heights of the economy, the 100 or so monopolies that control the great majority of British industry, it will be doomed to failure. Added to this is the bosses' fear that, once even one or a few industries are taken over by the state, the appetite will increase with eating. This would be particularly the case against the background of a worsening economic situation of which there is every prospect when a Corbyn government comes to power. If there were wholesale closures of factories and workplaces through a repeat of or an even worse economic crisis as 2007-08 - which put at least 20 million out of work in the advanced capitalist countries - the patience of the working class would run out as mass protests and demands for action bubble to the surface. The strategists of capitalism, however, cannot be entirely sure that they will be able to completely control Corbyn and McDonnell given the deep crisis of British and world capitalism. There is already massive discontent, with the poor in particular suffering cruel cuts and worsening conditions. It is so bad that even former football stars like Everton goalkeeper Neville Southall - recognised as one of the greats - wrote recently: "We are in trouble... the NHS, jobs, Universal Credit, poverty, austerity, Brexit. "This is why I joined Unison - the trade unions need to play a bigger part and yet the government are trying to disband the unions, so we need to fight... I like Jeremy Corbyn. The daily indignities threaten to set off spontaneous riots at any time. The queues at food banks have grown longer, with reports that the government has facilitated the supply of food to these outlets in order to keep the lid on an incendiary situation. Life expectancy in Britain has stagnated contrary to what is happening elsewhere. The police are protesting about cuts, as have head teachers in an unprecedented - if polite - demonstration to Downing Street. Women pensioners are up in arms after discovering they have been swindled, the age of retirement pushed into the future when they were looking forward to putting their feet up. At the same time, Tory chancellor Philip Hammond has indicated that Britain's dire economy and the government's financial situation means a continuation of cuts, including tax increases, in the forthcoming budget. That is why perspectives for Britain in the next period cannot just be contained within the Labour Party. The prospect of a Labour government comes against the background of the last 30 or more years of neoliberal policies: privatisation, historically low pay increases bordering on starvation wages for many, inadequate and virtually non-existent housing for rent leading to the increased homelessness which now scars the major cities of Britain. This fills the capitalists with dread. McDonnell threatened very minor increases in wealth tax which would merely trim their fingernails. Jim O'Neill, a former Tory treasury minister and coiner of the term Brics - to describe the growing power in the past of the 'emerging' economies of Brazil, Russia, India, China and South Africa - has come out for a Corbyn government! He reflects the concerns of a wing of the capitalists who see how the decline of capitalism in Britain has been furthered by the short-term concentration of parasitic finance through 'shareholder capitalism' at the expense of rebuilding the industrial base, including infrastructure. O'Neill wrote in the Guardian (5 October): "In the last four decades, hiring and firing workers in the UK has become much easier, to the point where capital investment is now less attractive. "In these circumstances, it is not at all surprising that productivity is so weak. Changing the balance to help employees' working conditions, including their earnings, should be part of addressing this". "A Corbyn government, with a mild tax-and-spend programme, could actually stimulate the market and therefore 'demand', he reasons. The Daily Telegraph recently declared that the crisis of capitalism was not economic or financial but the spectre of a Corbyn government. Yet his formal programme is only mildly social democratic, not going beyond the programme of the SDP split from Labour in the 1980s. Most people [the bosses] are much more worried about Corbyn than Brexit by a factor of ten... The world's ultra-wealthy are incredibly mobile which shouldn't be underestimated. If Corbyn brought in capital controls, you'd find a lot more leaving". Of course, we and the labour movement will support all measures which seek seriously to encroach upon and remove the economic power of the capitalists. The scandal of high fares, massively overcrowded and infrequent rail services, together with the scandalous plundering of their revenue, makes them a prime target for democratic nationalisation. The equally outrageous stripping of the financial assets of the water companies mean that the proposal to take them over, along with the high-charging energy utilities, would meet with enthusiastic support. Even so, these are very modest measures which do not go outside the boundaries of capitalism. The struggle now is not just or even mainly in Labour committee rooms, given the decision of the party's conference to effectively shelve real reselection, control of the members over MPs. It is more likely to develop on the streets and in the factories, schools, universities and colleges - where the struggle is unfolding now - particularly over ongoing council cuts. May's promise to postpone or scale down austerity is so much hogwash: "By 2021, £37 billion less will be spent on working-age social security compared with 2010, despite rising prices and living costs, according to estimates produced by the House of Commons library". (Guardian, 23 September) Tax credits will be cut, as will child, incapacity, and housing benefits. There have been pointed warnings by former prime ministers Gordon Brown and John Major about poll-tax style riots if Universal Credit is not withdrawn or amended - its full implementation has recently been pushed back. Left Labour pundit Owen Jones joined the chorus of protest while advocating mass resistance along the lines of the poll tax, even praising the All-Britain Anti-Poll Tax Federation - set up by Militant which he, of course, does not acknowledge. The federation organised the defeat of the poll tax through 18 million people refusing to pay. This was organised and run by Militant supporters involving great sacrifice, with 34 of our comrades going to jail. Jones now concedes that the poll tax, along with the EU conflict, consigned Thatcher to history. The reasons for the sabotage by Labour right-wingers were summed up by an anonymous Labour MP in the I newspaper (24 September): "Having spent a lifetime trying to get a Labour government into power I'm now in the incredible position of doing everything I can to stop Corbyn becoming prime minister. "It's heart breaking". They wish for a Labour government but not a Corbyn one. Why? Because they half suspect that, fuelled by another economic crisis, such a government will have been elected on a radical programme and with mass pressure for change, unlike the Blair and Brown governments. "If it then proceeds to carry through even some of its radical policies it would shatter the Blairite myth that Labour can only succeed electorally with middle-of-the-road, 'centre' (pro-capitalist) policies - as did the electoral successes of Liverpool Labour when it was heavily influenced by Militant in the 1980s. Moreover, the Brown and Blair governments' 'moderate' record, alongside that of the Tories, is daily refuted by one report after another. Just how disastrous was Blair in seeking to carry out the same programme as Thatcher has been illustrated by Aditya Chakrabortty in The Guardian (17 October). He uses the IMF analysis of 31 countries from Finland to France which shows that the UK "is more than £2 trillion in the red". Only Portugal, Gambia and Kenya are in a worse position, but "almost as startling are the IMF's reasons for why Britain is in such a state: they all come back to neoliberalism", particularly privatisation. Chakrabortty concludes that British governments have "flogged nearly everything in the cupboard, from airports to the Royal Mail - often at giveaway prices - to friends in the City". Such privatisations, judges the IMF, "increase revenues and lower deficits", but also reduce the government's asset holdings, in the process handing over wealth to a select few. "Neoliberalism has ripped you off and robbed you blind. "The evidence of that is mounting up - in your bills, your services and in the finances of your country". Such analyses are quite common, especially in the 'liberal' press. Yet there are no conclusions drawn from these searing indictments of the capitalist system. There is no broad programme for socialist nationalisation and economic planning coming from Jeremy Corbyn either. In fact, he only mentioned socialism once, in passing, in his Labour Party conference speech! The prospect of a Corbyn-led government was invoked many times. But what type of government? 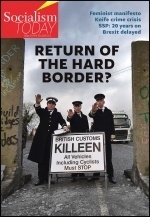 There would be revulsion if it was a repetition of the Blair-Brown disaster. The bourgeois and the Tories are ruminating on how to handle the discussion on the now widely recognised 'crisis of capitalism'. 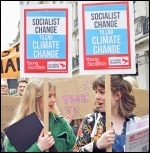 It is, therefore, absolutely essential that the labour movement, particularly the left, seizes the opportunity to raise the idea of real democratic socialist measures and the planning of society. However, they conspicuously don't! It is necessary to adopt the old demand once contained in Clause IV Part 4 of Labour's constitution, ruthlessly expunged by Blair and Brown in the 1990s: the 'nationalisation of the commanding heights of the economy'. Today, that would mean the state takeover of the 100 or so monopolies on the basis of workers' control and management. Only then would it be possible to fully carry through the demands on a crash house-building programme, education, social services and so on. From the beginning of Labour's civil war, the official left, including Momentum and some of the left trade union leaders, have woefully lagged behind events. They have refused to put forward bold political and organisational measures to consolidate Labour as a left and socialist force. The Momentum leadership has been keen to conciliate the Blairite right even while the latter went for the left's throat. The same is true of some left trade union leaders, even those such as Matt Wrack, who rushed into affiliating the Fire Brigades Union he leads to the Labour Party. This meant handing over considerable fees to the Labour machine at a time when it remained in the grip of the Blairites and was carrying through exclusions and expulsions of those on the left. This was done, allegedly, to effect 'real change' but has not been successful. To its credit, however, the FBU was virtually the only union to back mandatory reselection at the Labour Party conference. Nonetheless, contrast this with the principled position of the Rail Maritime and Transport union which has stubbornly resisted calls from Matt Wrack and others to hand over its precious financial resources to the unreconstructed Labour Party machine. Labour mayors have refused to back the union over driver-only trains. The RMT is quite willing to join Labour if there is a realistic prospect of it becoming a weapon for its members and other workers in their daily struggles. But that has not happened to date. Change in the Labour Party has to be effective, not just by exercising control over MPs but also on the crucial issue of local council cuts often carried out by Labour councillors. The uprising against these cut-backs is ongoing. It increasingly affects local parties, with criticism of the shameful role of Labour councillors in particular, presiding over government austerity. No-cuts council budgets are necessary in order to mobilise working people in action. This is why, while supporting Jeremy Corbyn at all stages - including in a general election - an electoral challenge to right-wing Labour councillors will continue to be necessary, even against those who masquerade as 'lefts' while doing the dirty work of the Tory government at local level. Even former pro-Blairite figures like Guardian writer Polly Toynbee - now a born-again Corbynista - writes that only 4% of people support cuts. If she says this, it must be true! There can be no excuse for foot dragging on this issue. Labour councillors should fight against austerity as Liverpool did in the 1980s along with other councils. Otherwise, those affected by the cut-backs - some of a devastating character - will stand against them in elections, and we will be alongside them. At the moment on the surface Britain seems to be relatively quiet. However, a mass revolt is brewing as the scale and type of indignities that have been heaped on the shoulders of working-class people grows. It will inevitably break to the surface. It is necessary that this is led by the organised battalions of the labour movement coalescing into a mass movement to topple the Tories and bring a socialist, Corbyn-led Labour government to power.